Life is about moments and creating memories. One of the main reasons people come to us is to create an outdoor space they can enjoy for many years to come. 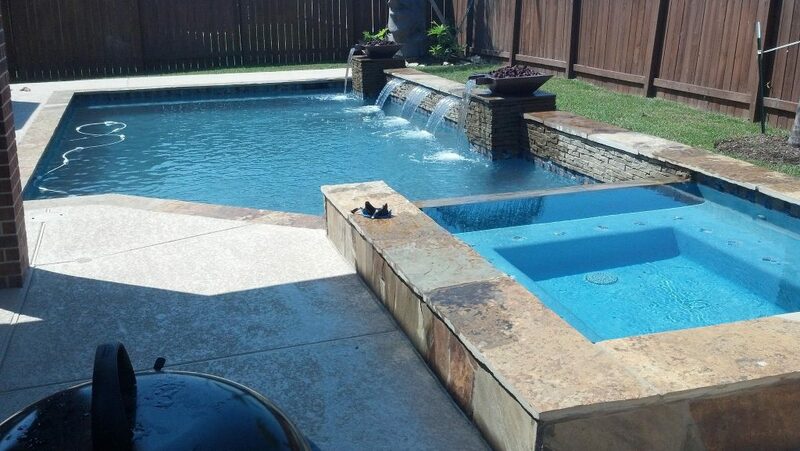 When you make the choice to add a custom swimming pool in League City, you are not simply creating a fun way to escape the League City heat. Some of your favorite memories will be of times spent together enjoying this investment. Here are 3 reasons a swimming pool is the best gift you can give your family. Many children first learn to swim in their family pool. This early learning provides many great benefits, such as confidence in the water. Knowing how to swim as soon as possible is an important water safety factor, especially when a child has a pool available to use often. In turn, this will pave the way to a love for swimming and might open doors that you never imagined. Think of all the top Olympic swimmers—each had a starting point to their journey. For many, that point was the family pool. When your children or grandchildren look back on their childhood, they will never forget the fun times that they had in the family pool. They might learn to swim, or spend time with family at holiday events or weekend get-togethers, all while sharing laughs in and around the custom pool that was designed for your home. Celebrate in style with innovative design that brings a smile to everyone’s face. Each day spent with your loved ones around the pool is a good day. Swimming pools are a lot of fun. In fact, once you have yours installed, you might never want to book a vacation away from your home again. Create the perfect backyard retreat, whether that is a lagoon style pool with waterfalls or a sleek contemporary pool with a raised spa. Visually pleasing effects, such as waterfalls or fire bowls will add to the excitement and make your family feel as if they are in their own luxury resort. This is your family’s retreat away from the world. A swimming pool is a great investment for you and your family. From learning to swim to creating your own oasis, you simply cannot go wrong when you decide to install a pool. You can jump start your journey to joyful experiences with the ones you love most by contacting Elite Pools & Spas today.